Ride with us on September 5, 2015! Our signature annual event—Columbus’ original city-wide ride since 2008—highlights our city’s unique and evolving center-ring neighborhoods. Bike the Cbus is a casual bicycle tour welcoming cyclists of all ages and abilities with 4 short routes totaling 30 miles and stops hosted by local organizations who provide snacks and entertainment. Check out 7 years of cycling in these delightful photo albums! With a 3-fold increase in participation to approximately 600 riders in 2013 and 2014, plus a newly expanded finish line after party with free food for riders and a beer garden, Bike the Cbus has undergone as many changes as the neighborhoods we explore. 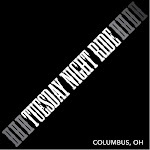 This year, another exciting change comes in the form of a new metric century we’re calling “Bike the Cbus+”. Speedier distance riders will appreciate this unique urban route. Riding your bike across the U.S. is hard enough, but why not throw rocky creek crossings and 20-percent-gradient dirt climbs into the mix, too? If you’ve ever been on a grueling gravel ride and wished it could go on for months and months, we've got a trip for your cycling vision board. Start keeping tabs on two people making the gravel dream happen along the entire frame-rattling Trans-America Trail (TAT)—and maybe even join the fun. Sarah and Tom Swallow, co-owners of Swallow Bicycle Works in Loveland, Ohio, learned about the route when they unknowingly stumbled upon a stretch of it during a trip to North Carolina and Tennessee. Although the TAT was originally designed for motorcycle touring, they met several other cyclists who had ridden up to 800-mile stretches of it—so the Swallows decided to tackle the whole thing.